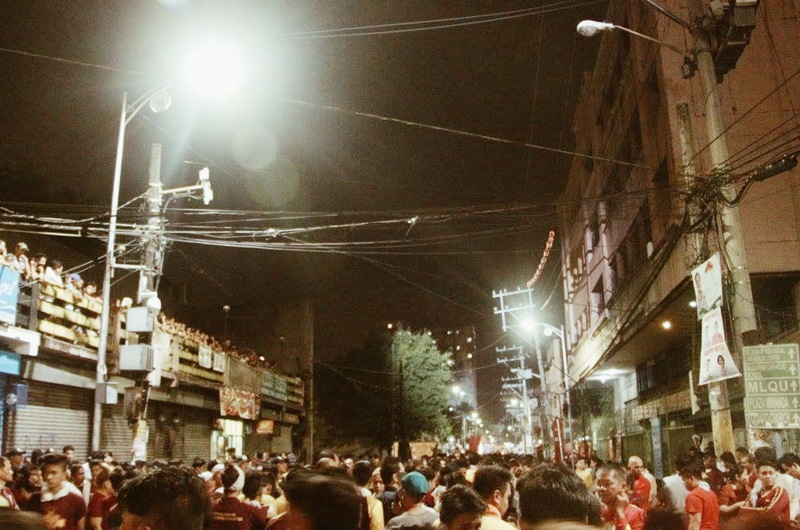 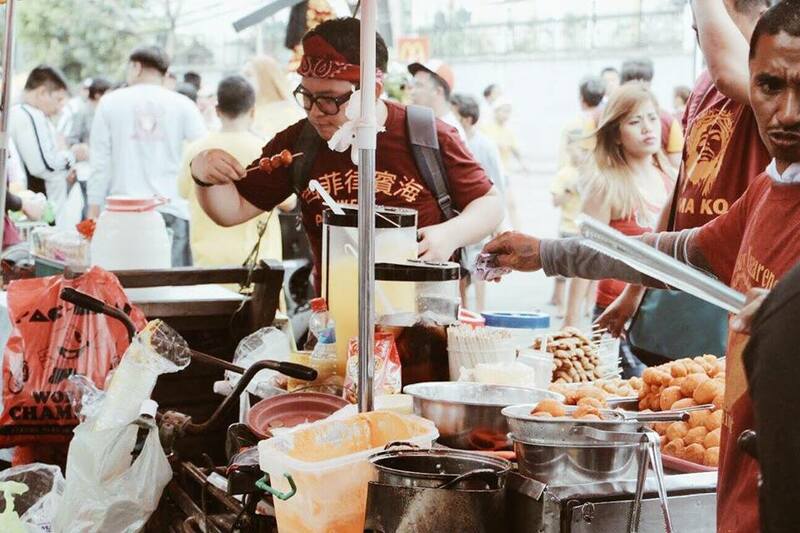 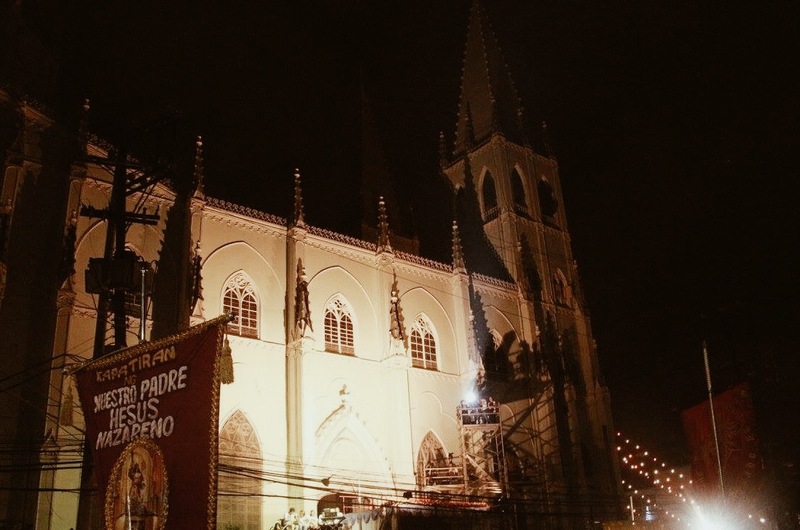 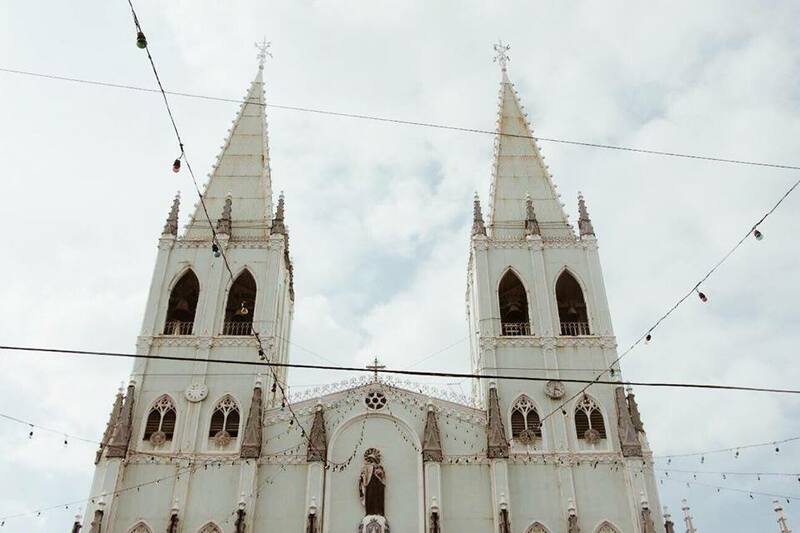 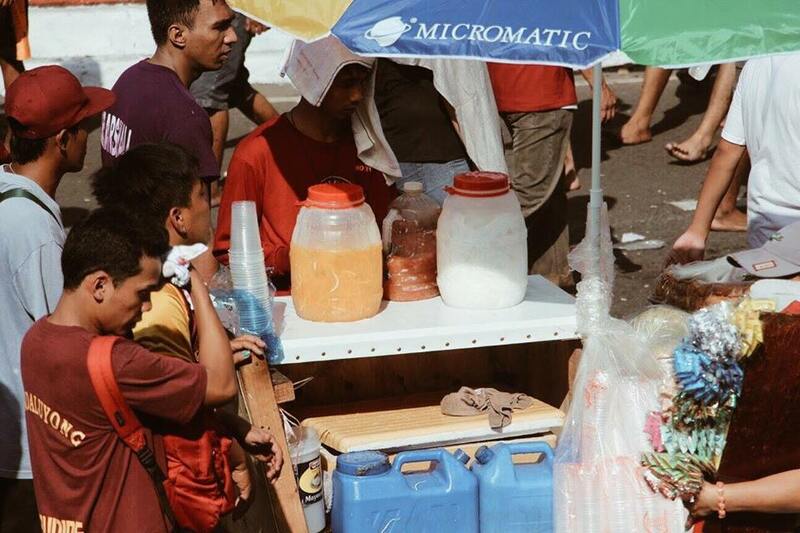 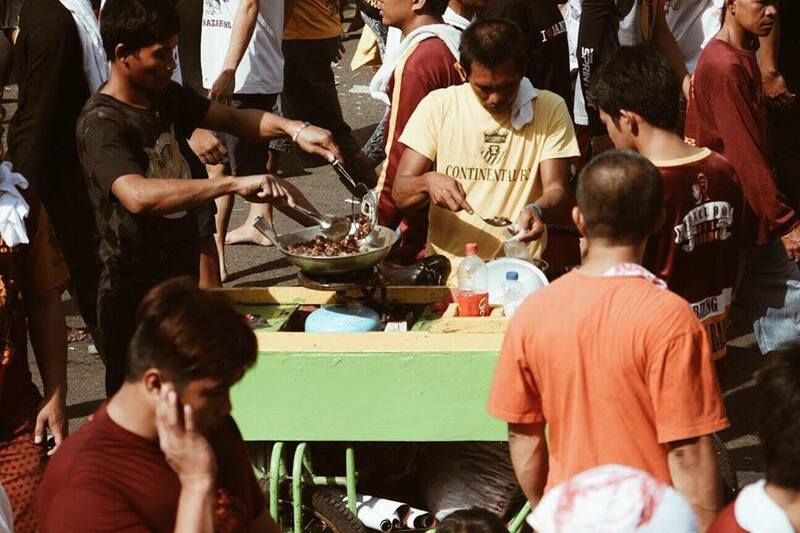 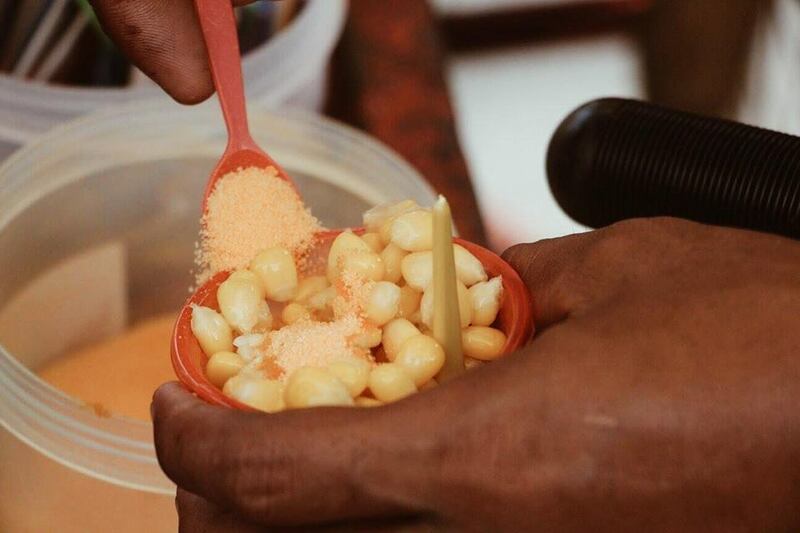 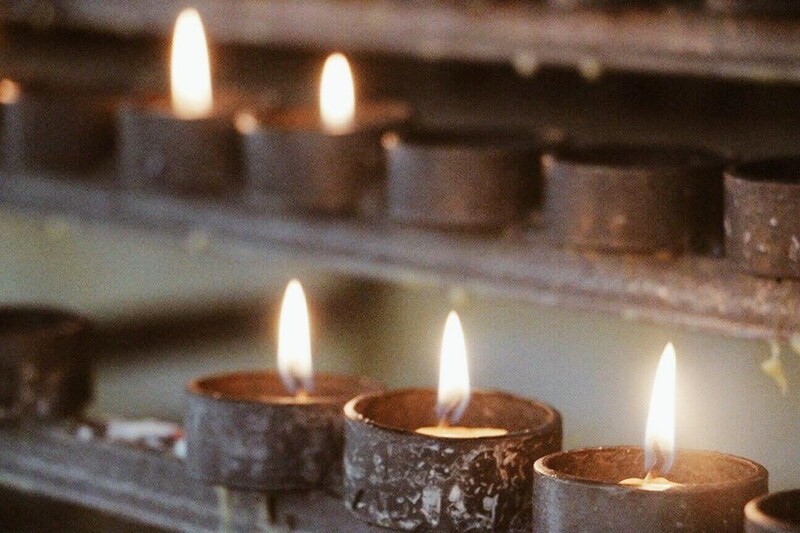 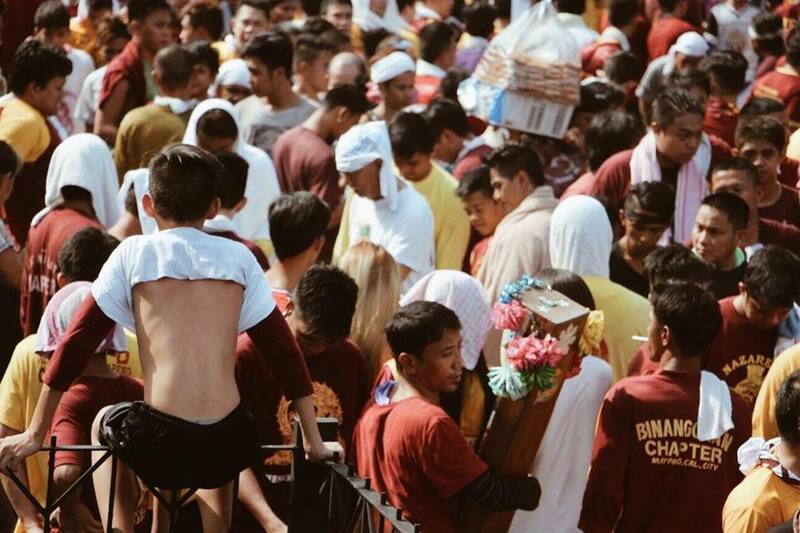 In this area in Manila, January 9 is a concoction of religious activities, and the town’s aura of festivities as Quiapo happens to hold its town fiesta on the same day as the Black Nazarene’s Traslacion. 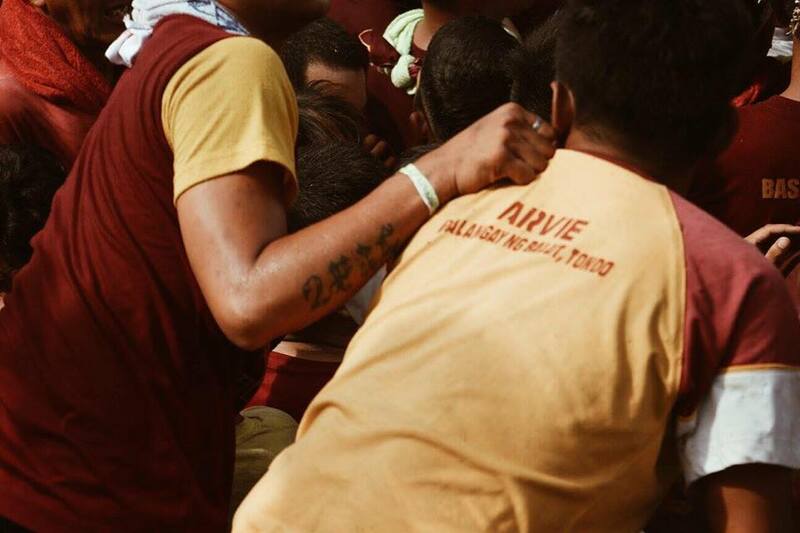 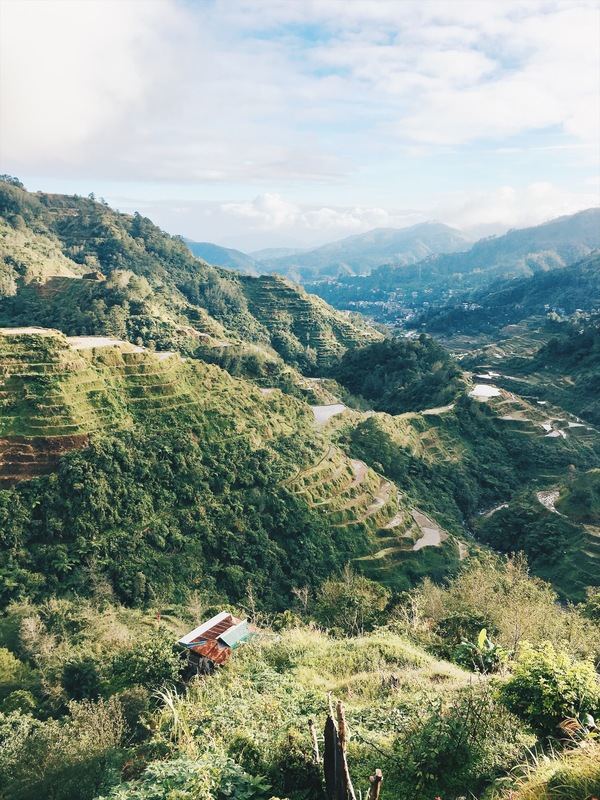 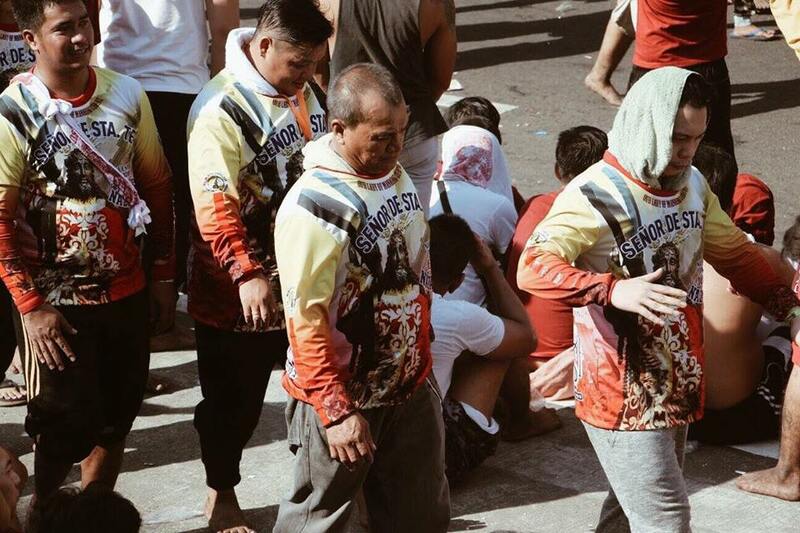 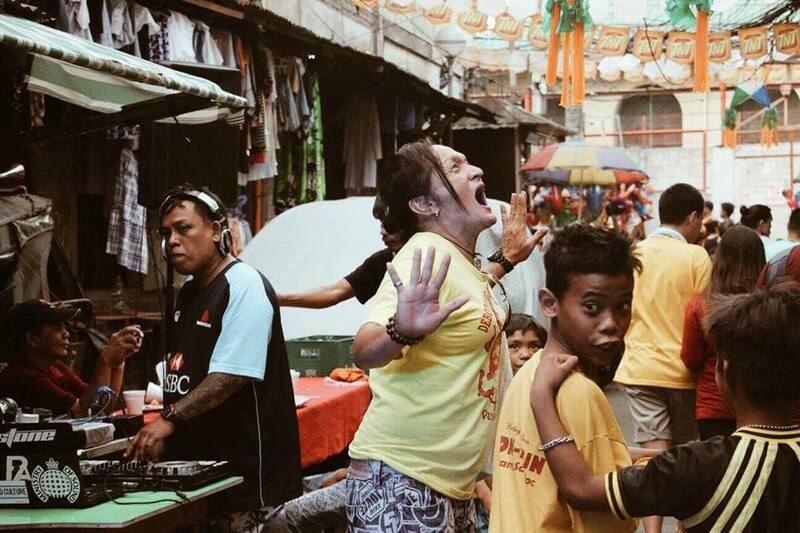 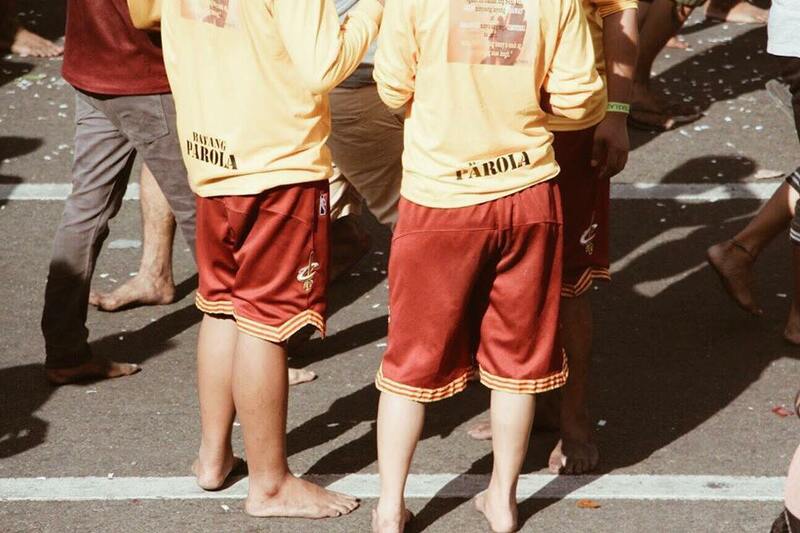 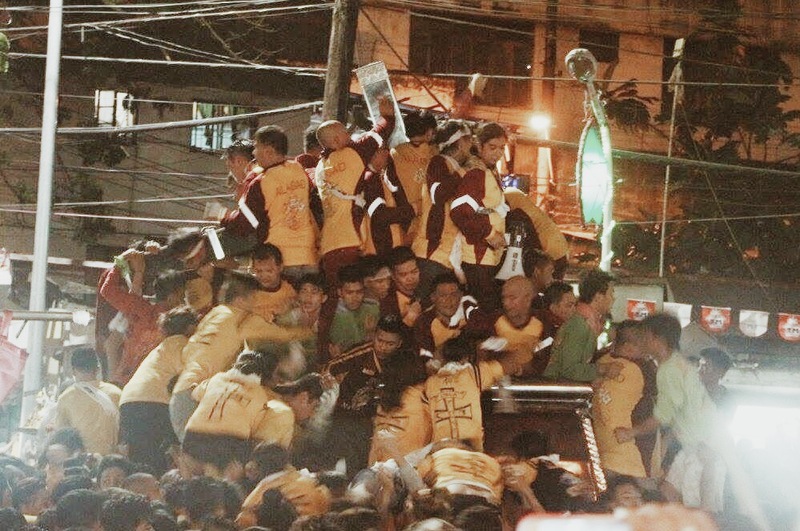 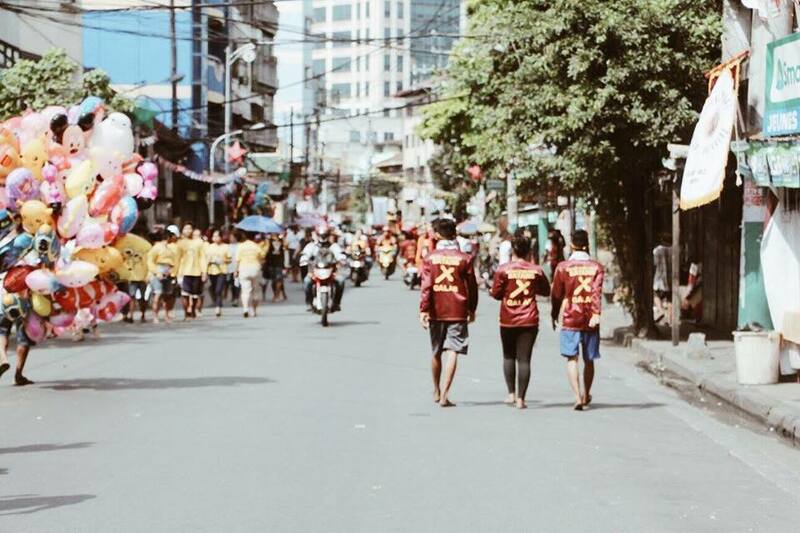 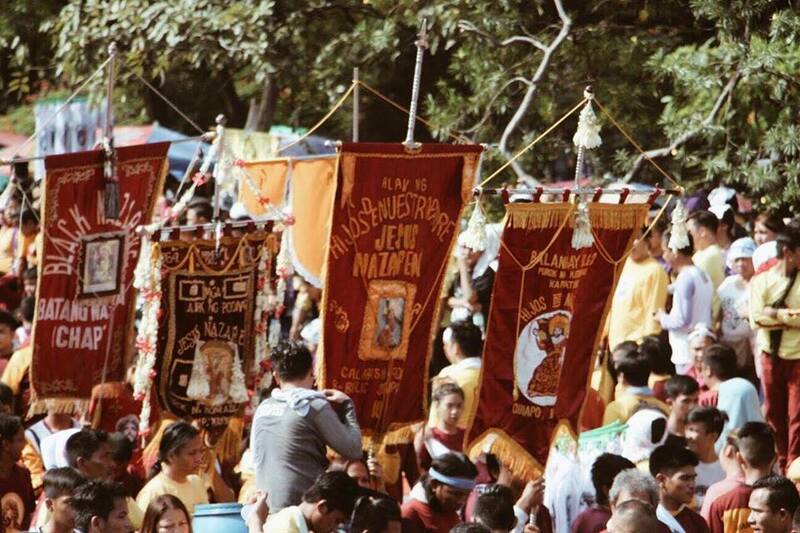 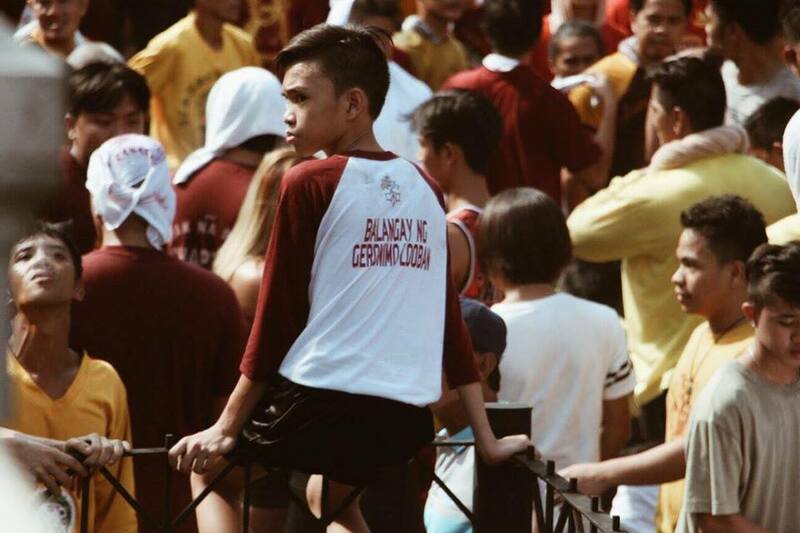 So, you could see, the local townspeople, going with their respective celebrations at home – drinking, parlor games, karaoke sessions, and more merrymaking are being held, while the devotees, barefooted, with their dirty devotee Nazareno shirts on roaming around the town, too. 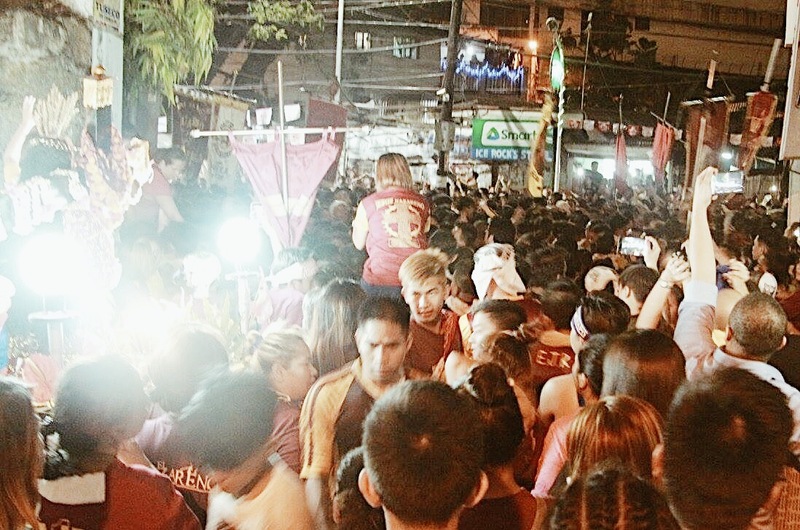 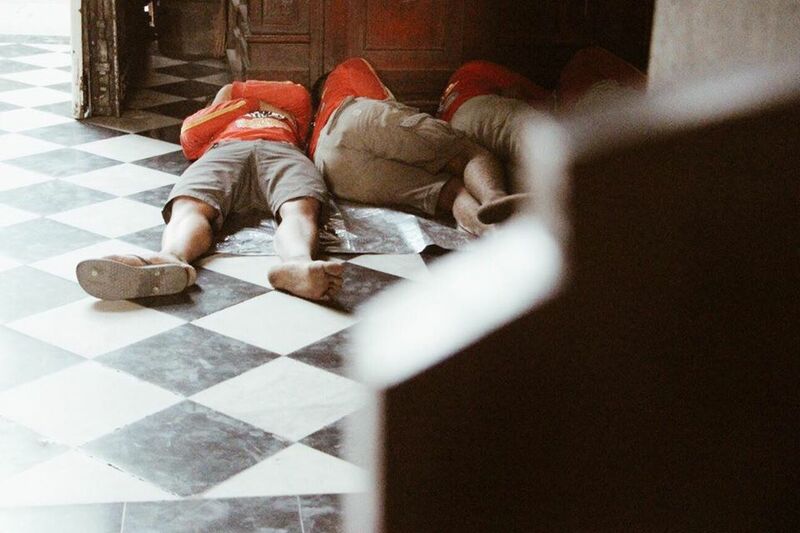 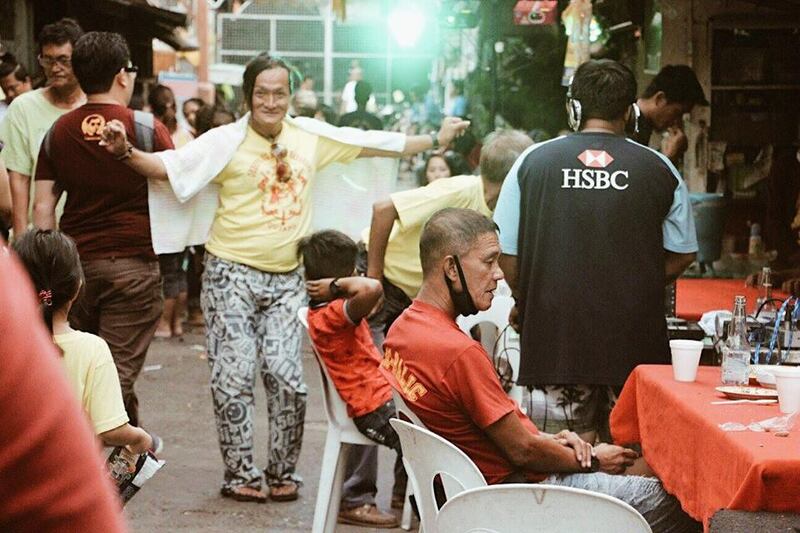 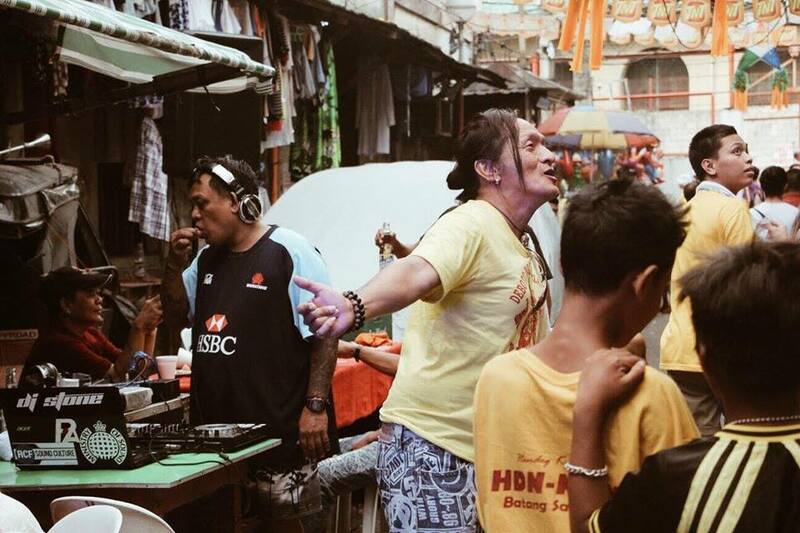 You could see devotees resting, sleeping on the streets, the sidewalks, the gutters, while just a few meters away, videoke and drinking sessions, sometimes with local live bands could be seen. 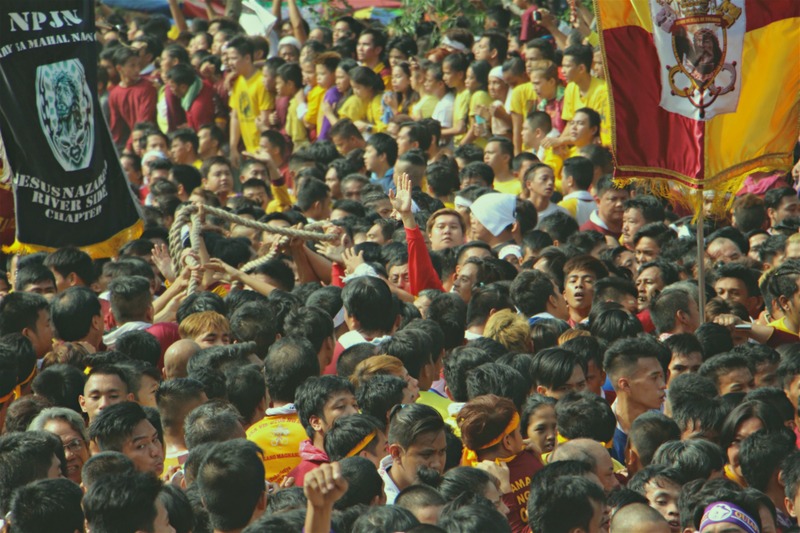 Yesterday, Bae and I did not just witness the passing of the Traslacion in front of the National Museum, but we were also given a chance to have a guided walking tour around Quiapo, and discover the ancestral houses and other landmarks that not anyone goes to regularly. 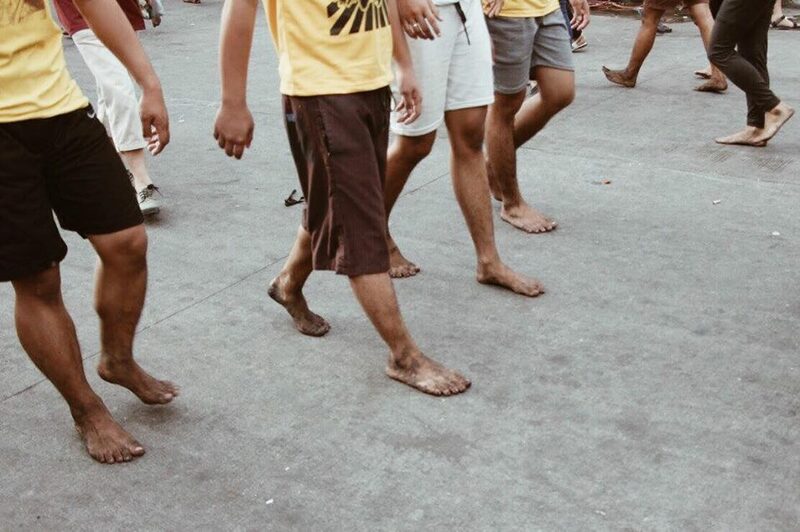 We didn’t know what made us stay for more than 15 hours in Quiapo yesterday, but thanks to our friends in Quiapo, the members of Kapitbahayan sa Kalye Bautista atbp. 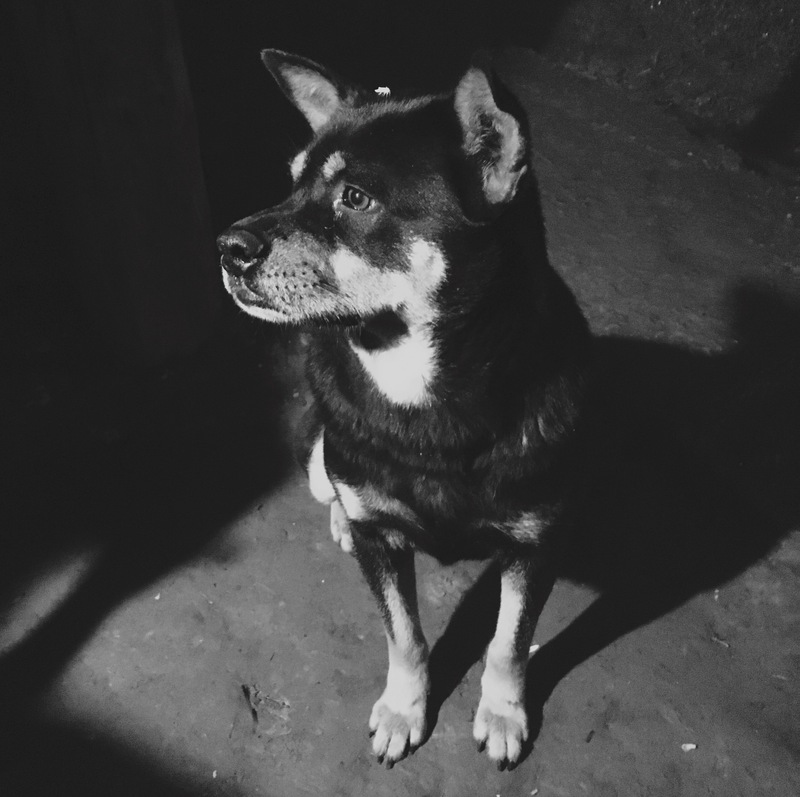 Lugar, Inc. – (KKB), the waiting for the Dungaw wasn’t that hard to do. 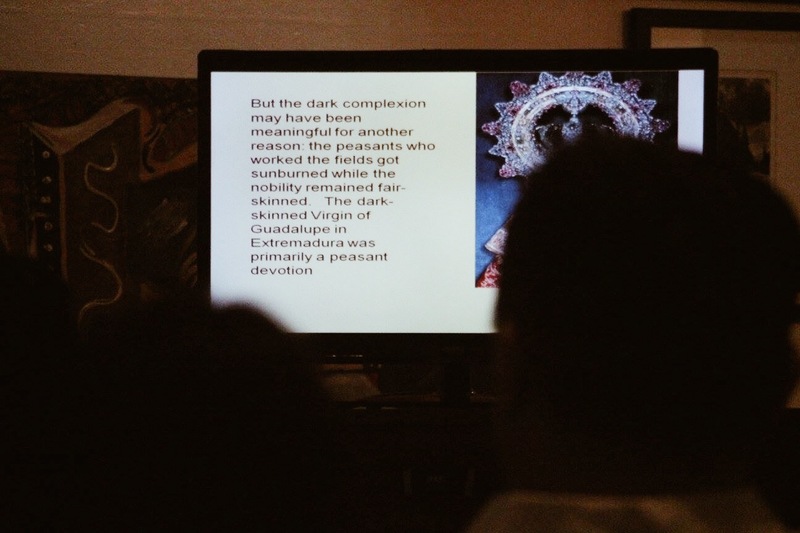 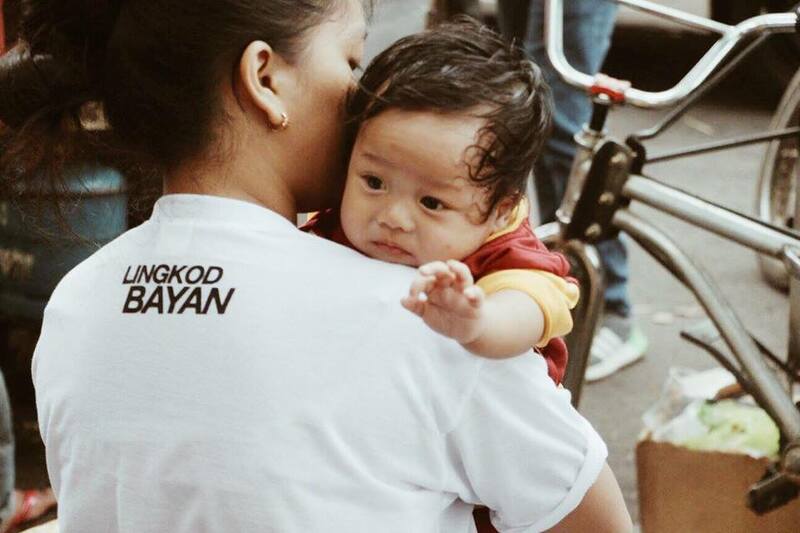 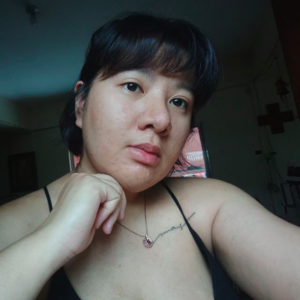 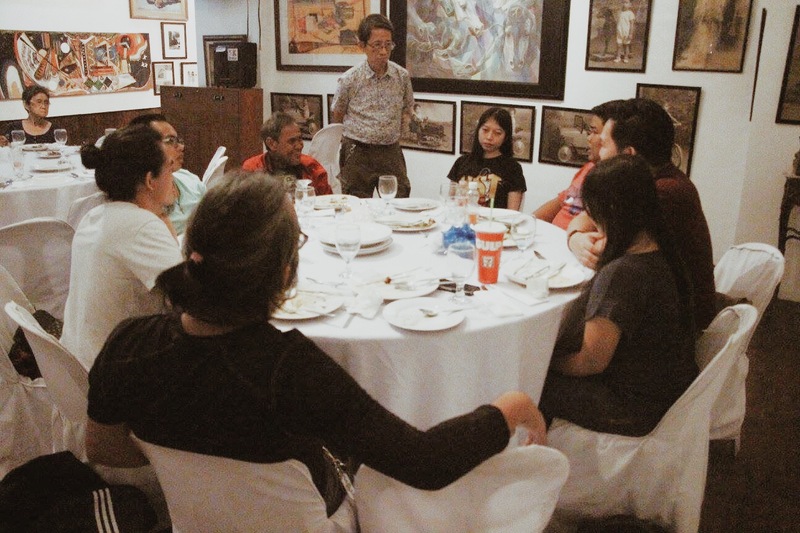 KKB is a non-stock, non-profit organization based in Quiapo, mobilized by students & adults from different fields who advocate for cultural heritage preservation. 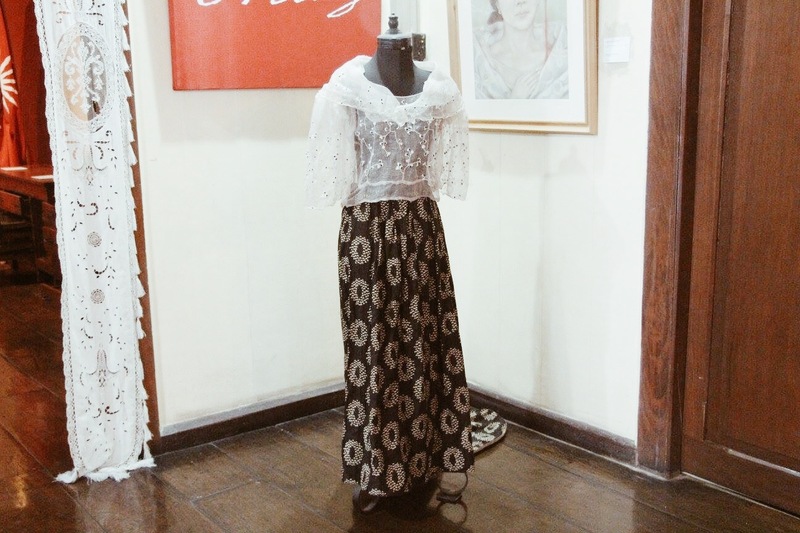 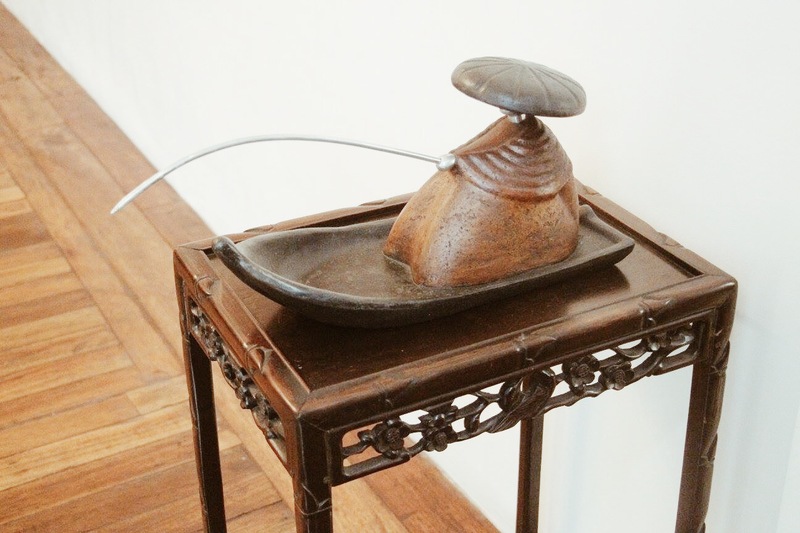 After National Museum, we first went to the Itturalde Ancestral House, also known as the Casa Consulado. 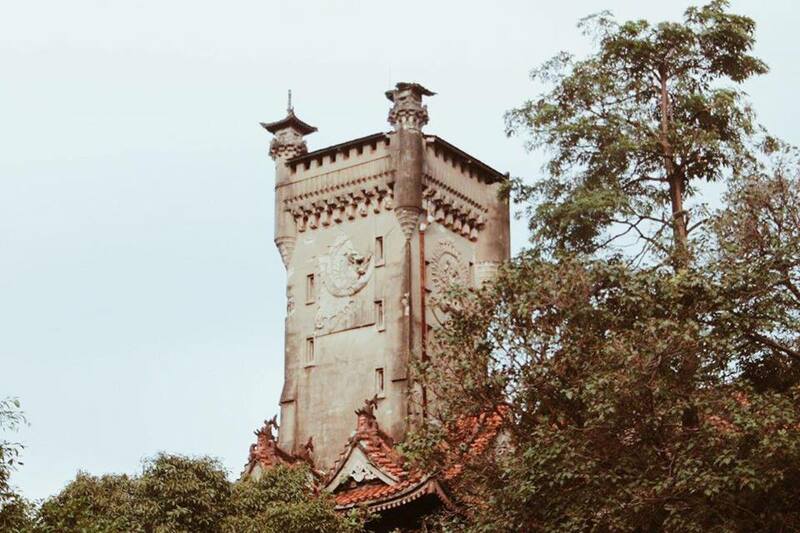 The house once became the Consulate of the Principality of Monaco back in the day. 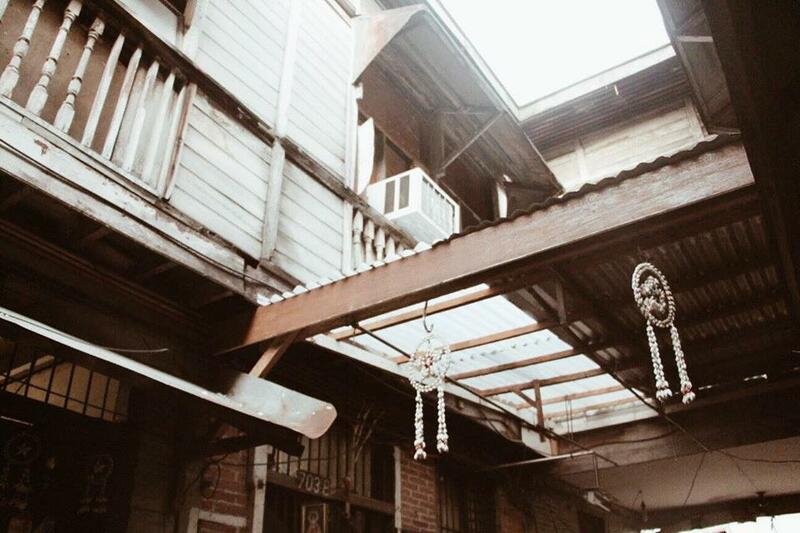 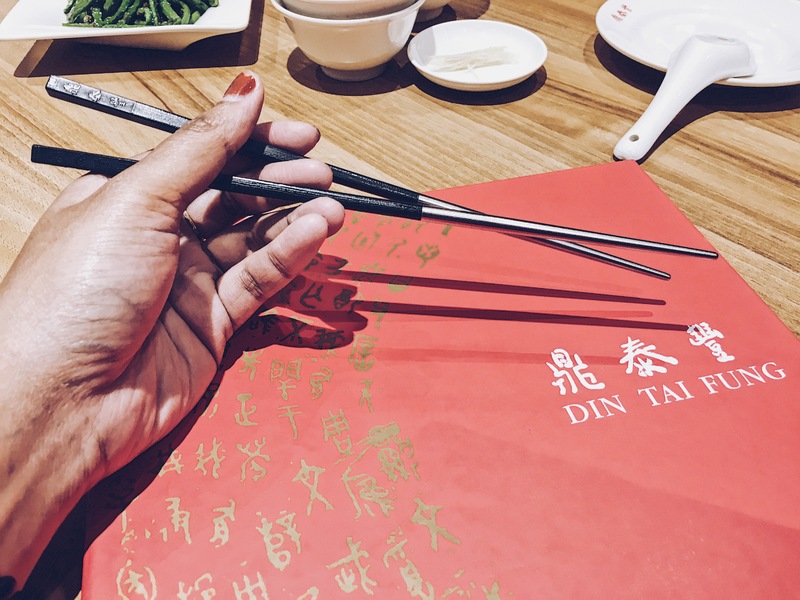 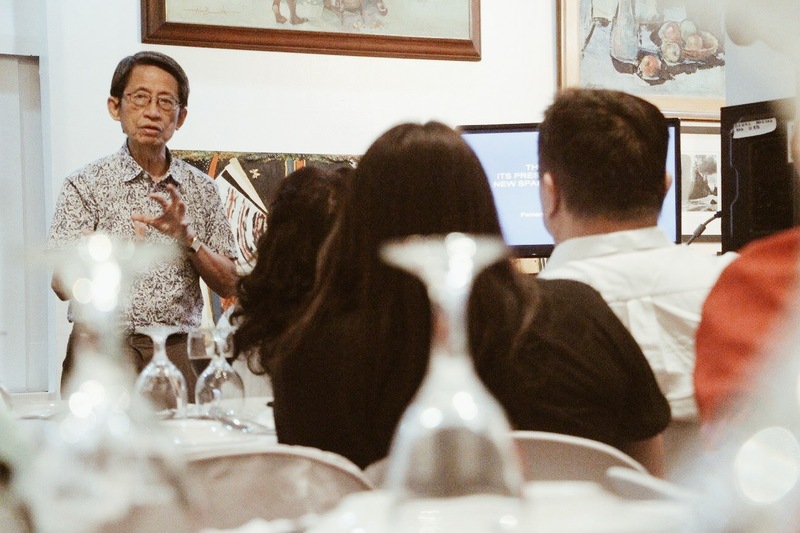 At present, the owner, Sir Paul Itturalde is working on having it restored by adaptive re-use so that the people today can still experience its wonders. 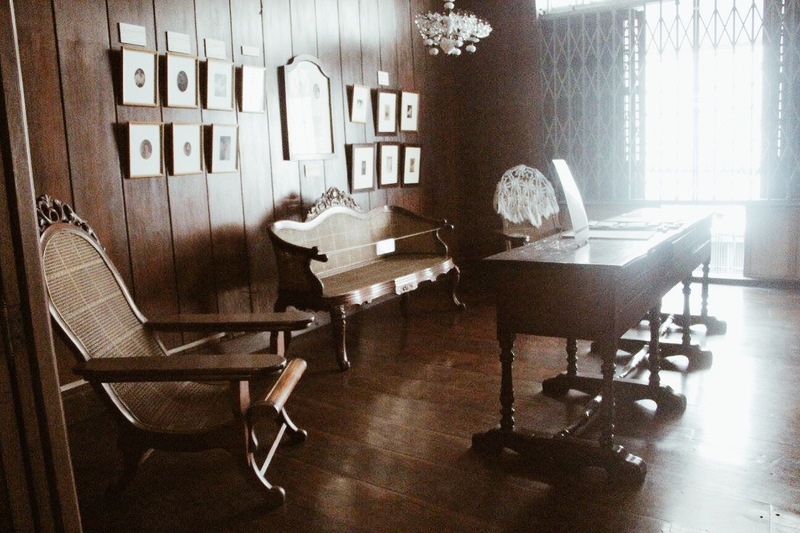 We also went inside Bahay Nakpil, which used to be the headquarters of the Katipunan. 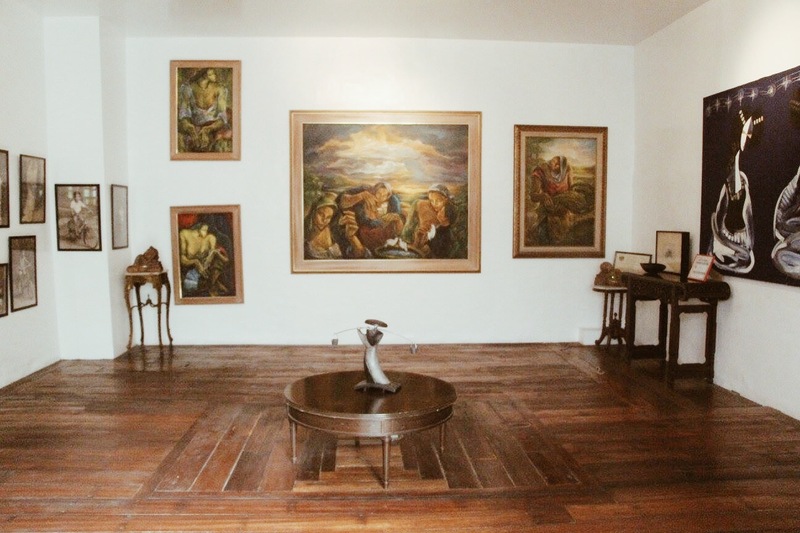 The House is owned by Julio Nakpil, the husband of Gregoria De Jesus, who was the widow of Gat. 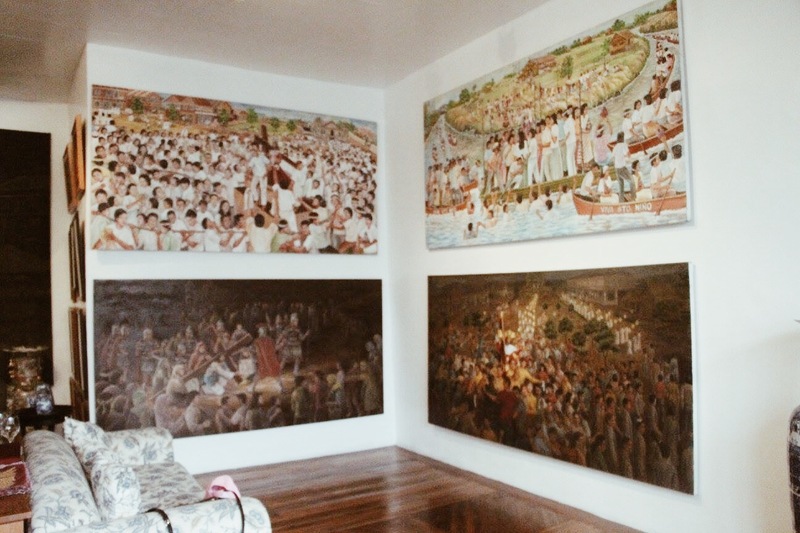 Andres Bonifacio. 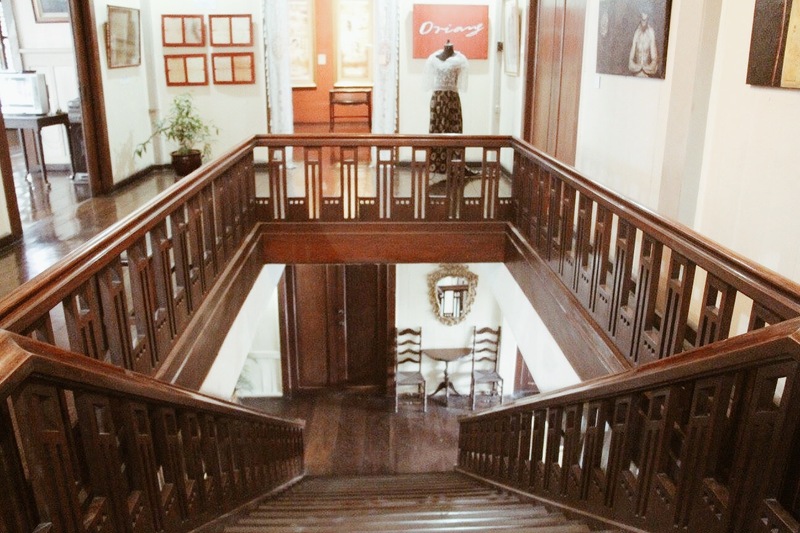 The Nakpil house stands right beside Casa Boix, another old and ancestral house which became a former dormitory for other dignitaries and other notable persons in history when they were still students in Manila, such as the late President Manuel Luis Quezon. 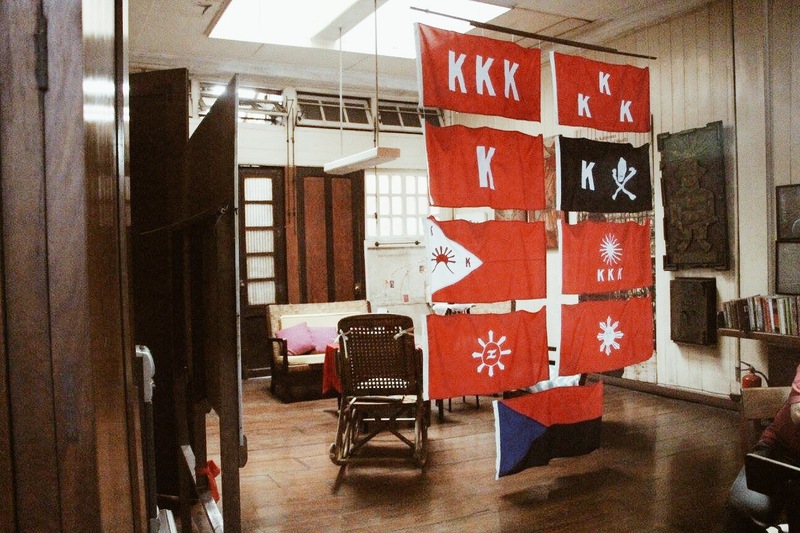 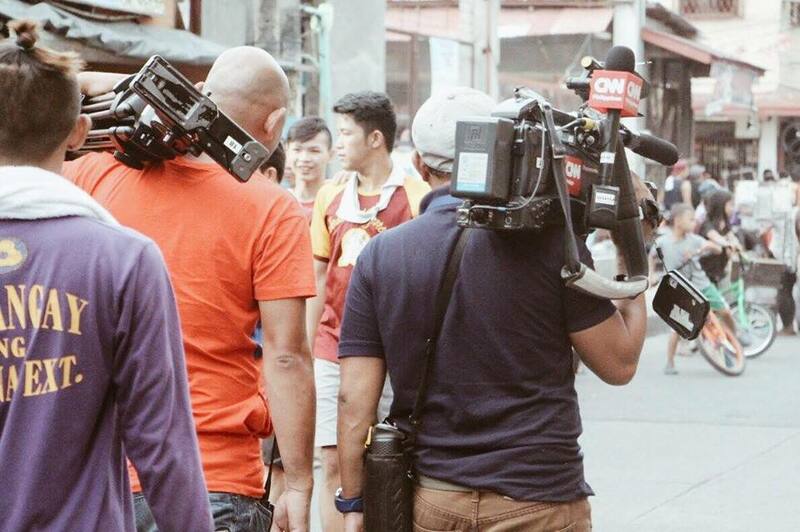 We also dropped by the Burke Apartment located at Bilibid Viejo. 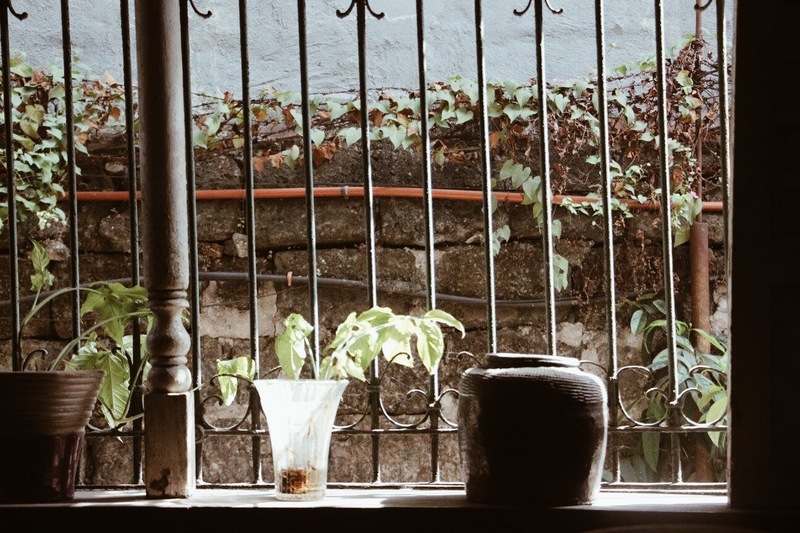 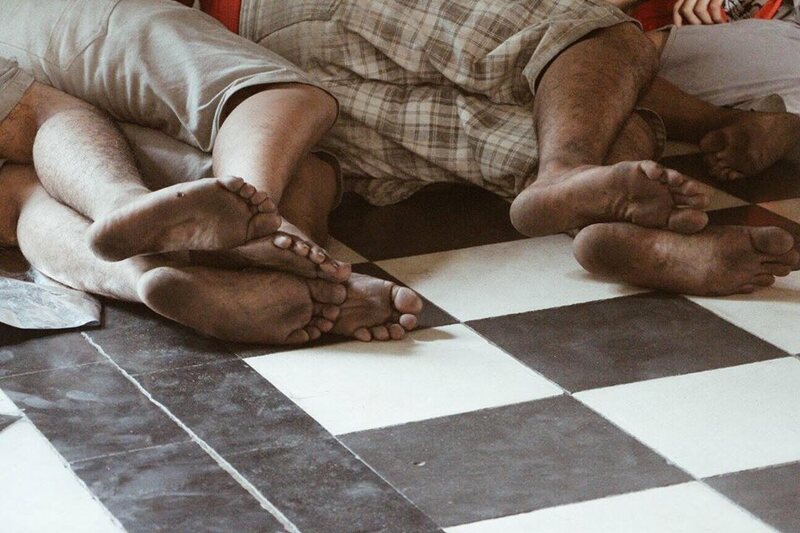 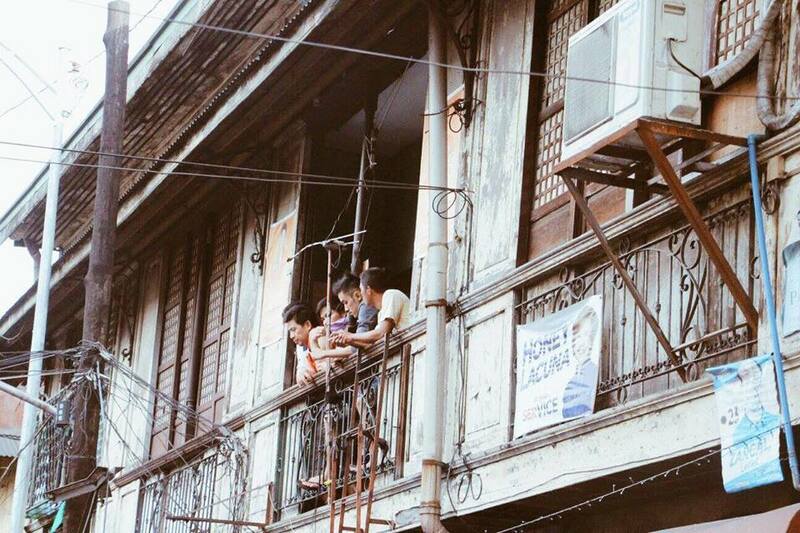 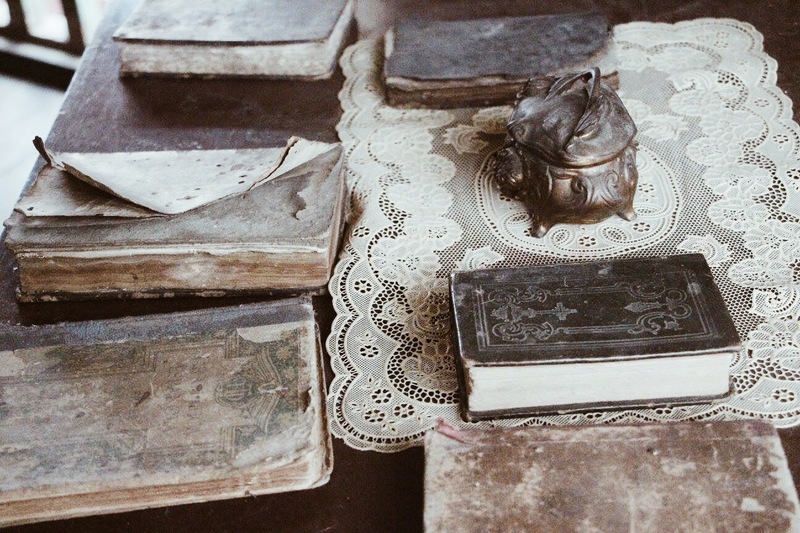 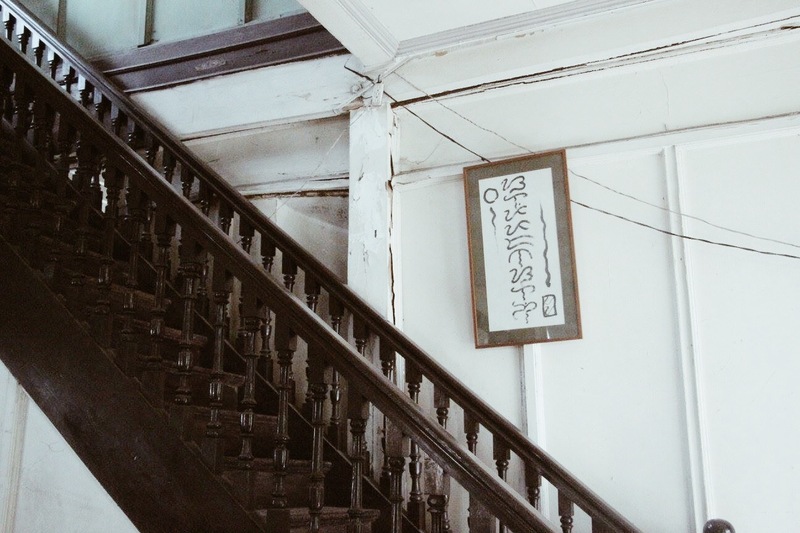 The Burke Apartment is a 105-year-old bahay-na-bato to which is now in danger of being demolished despite its huge contribution to the community’s history. 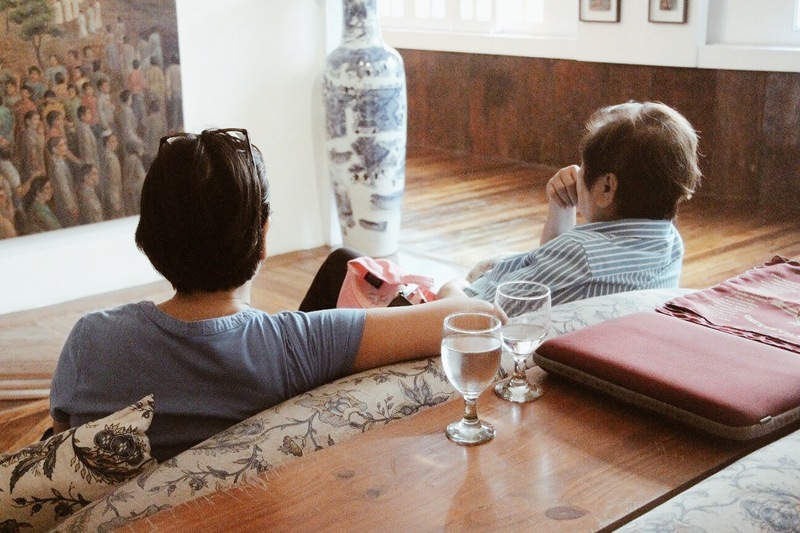 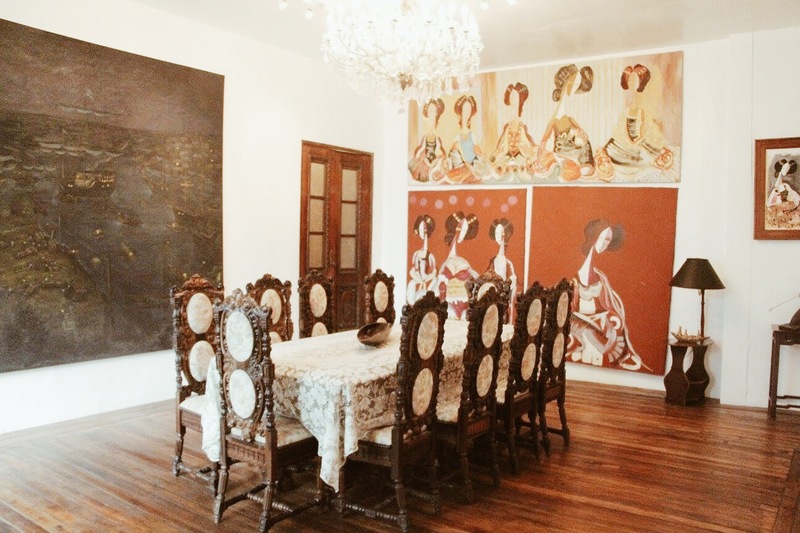 We also got invited for a small salo-salo inside the Padilla ancestral house. 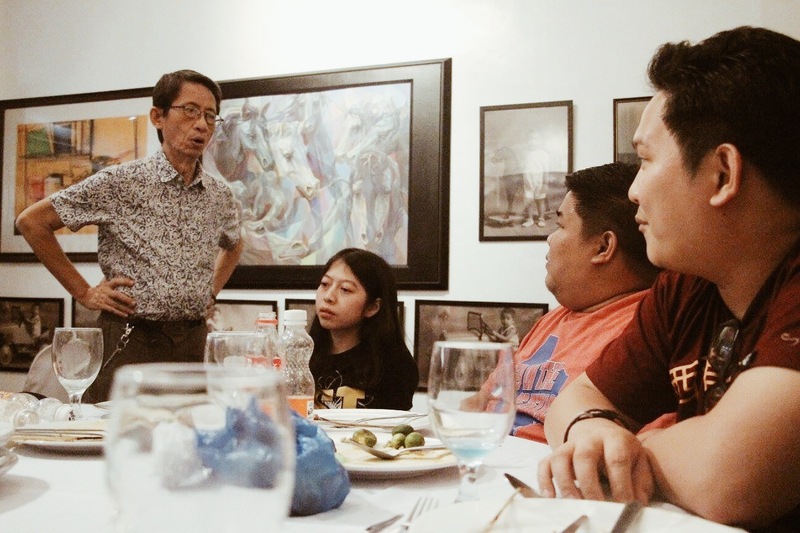 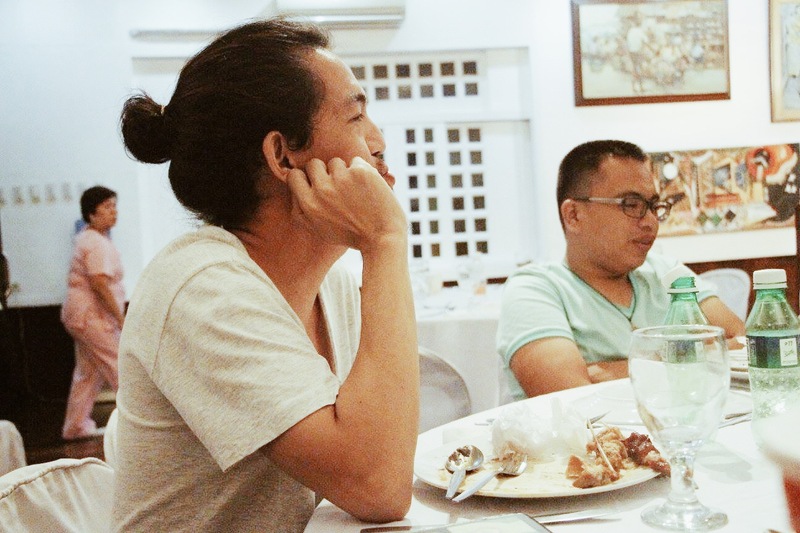 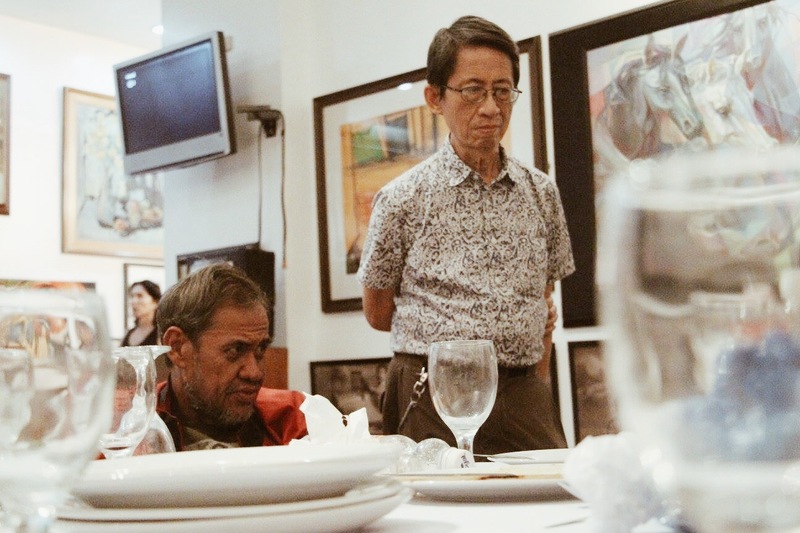 We were also given a chance to listen to a small talk about the Black Nazarene’s history and cultural, religious and social impacts in the country, by the renowned anthropologist, Sir Butch Zialcita. 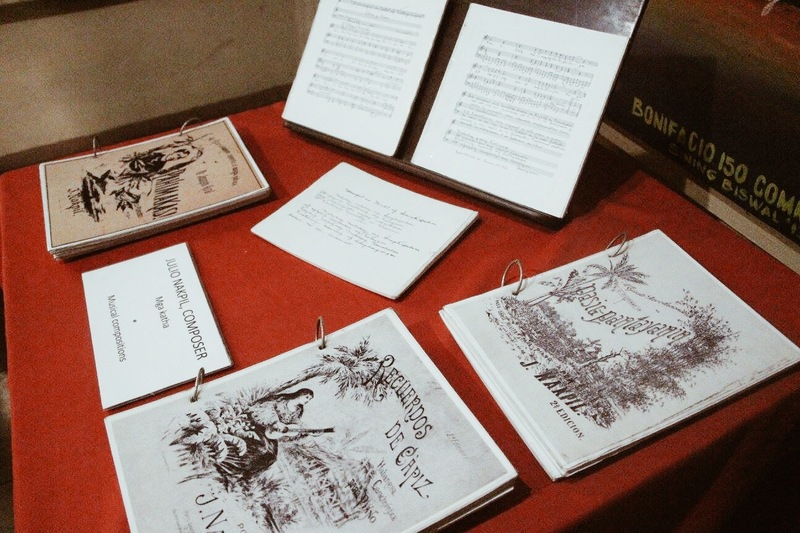 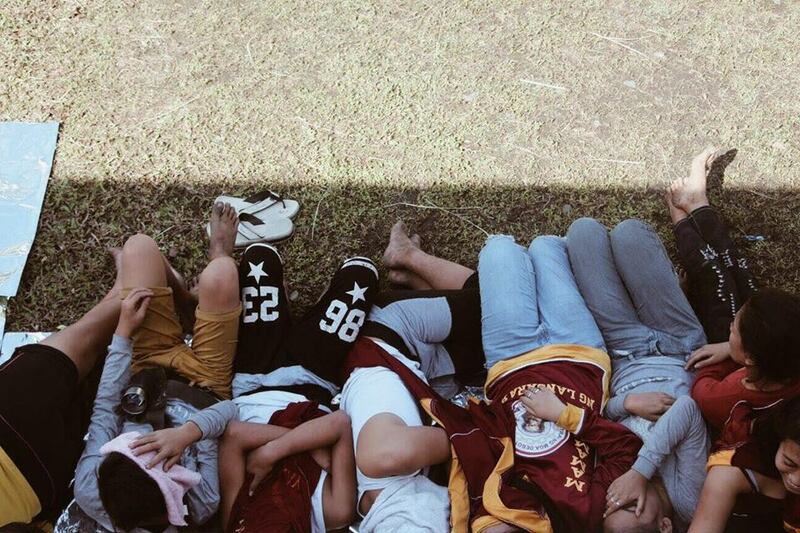 Finally, we got the chance to experience the Dungaw Rite. 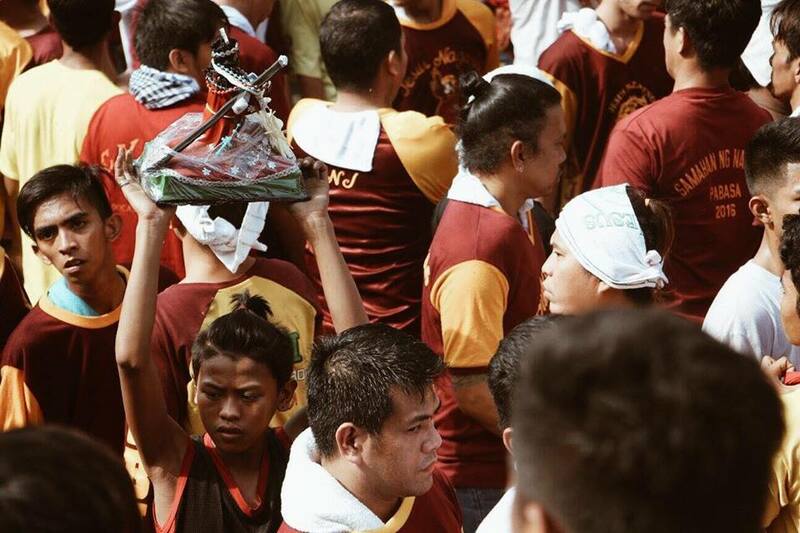 This is a continued tradition, wherein the Black Nazarene briefly stops in front of the San Sebastian Church, at the Plaza Carmen. 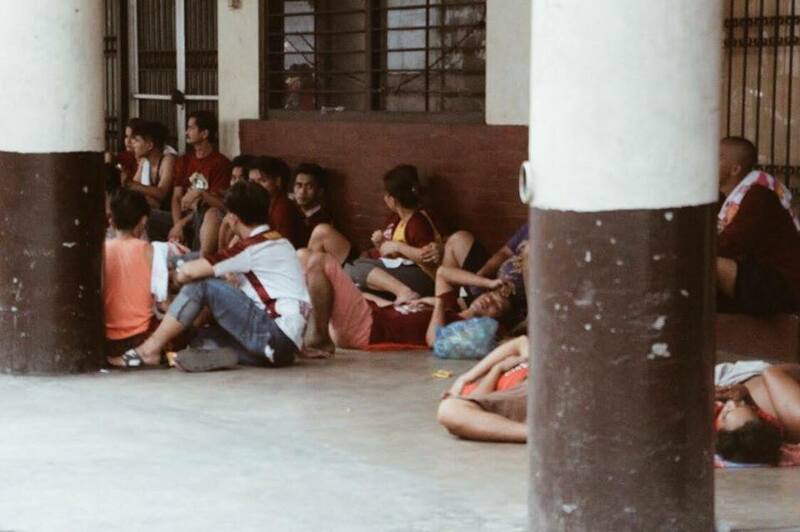 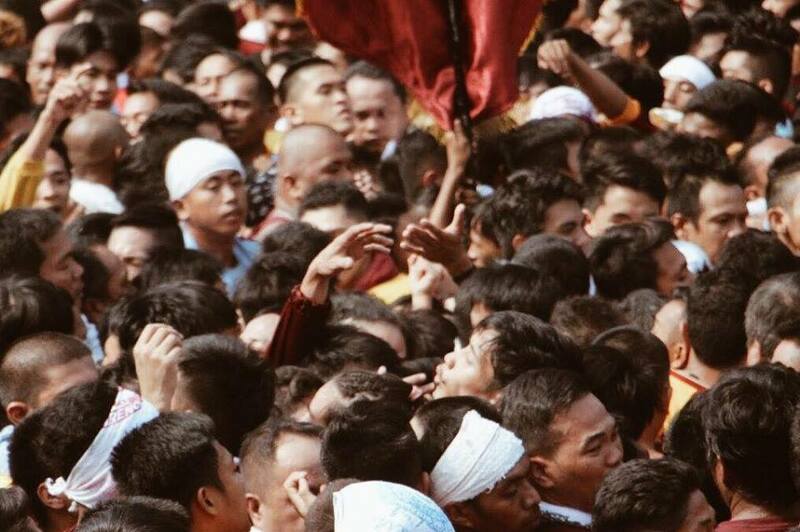 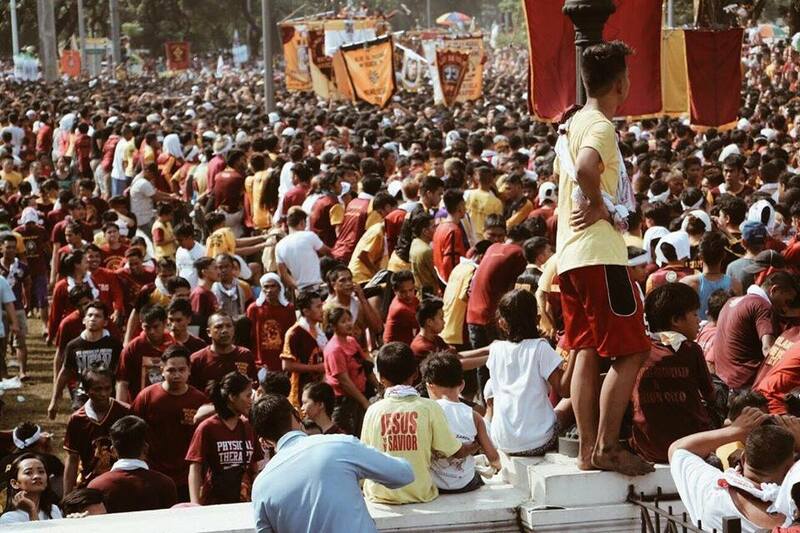 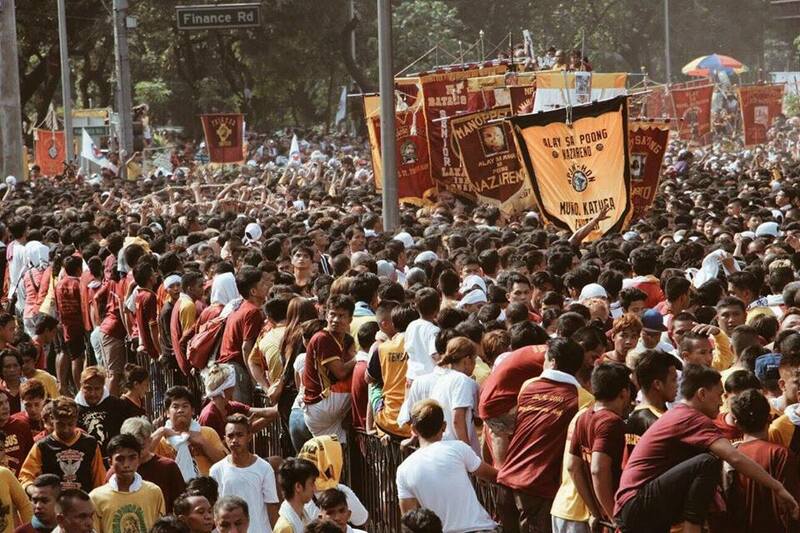 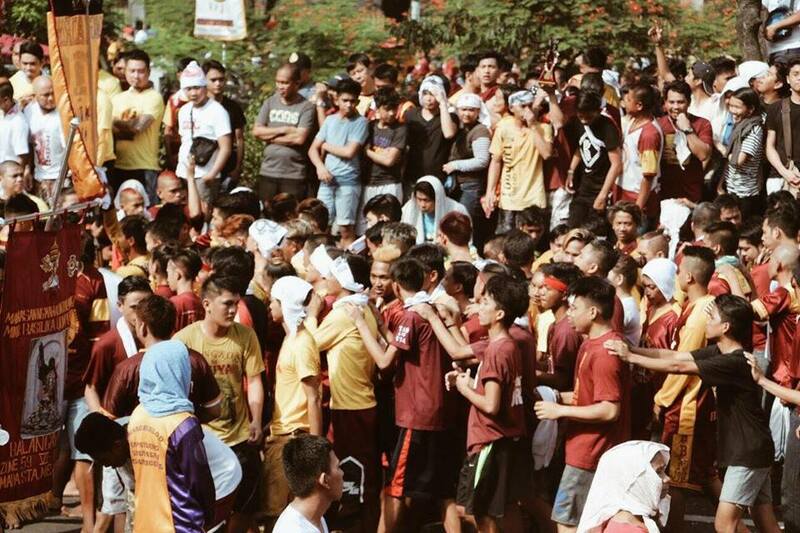 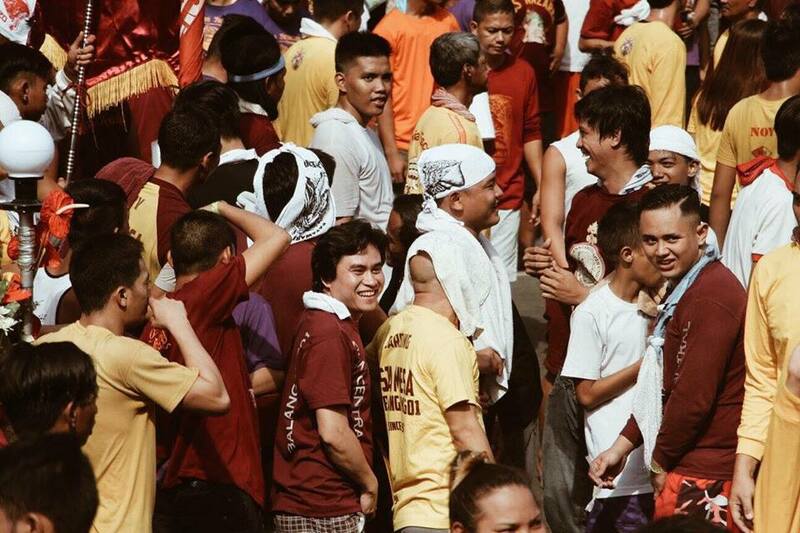 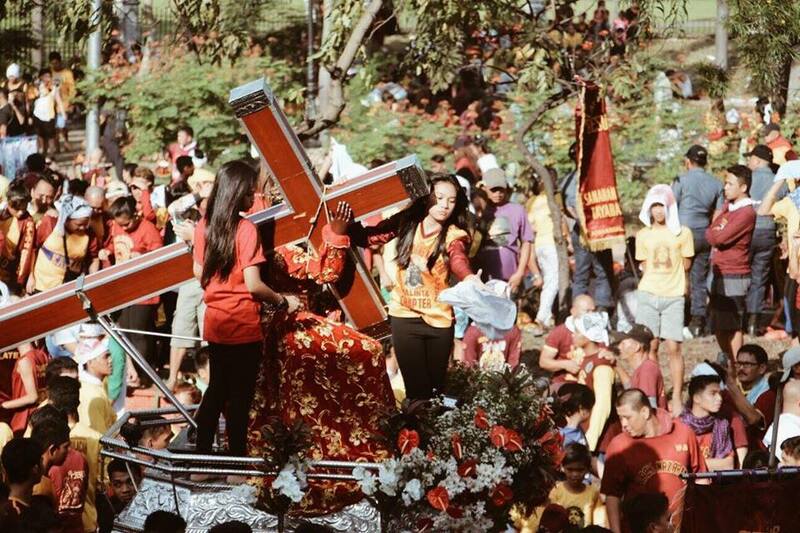 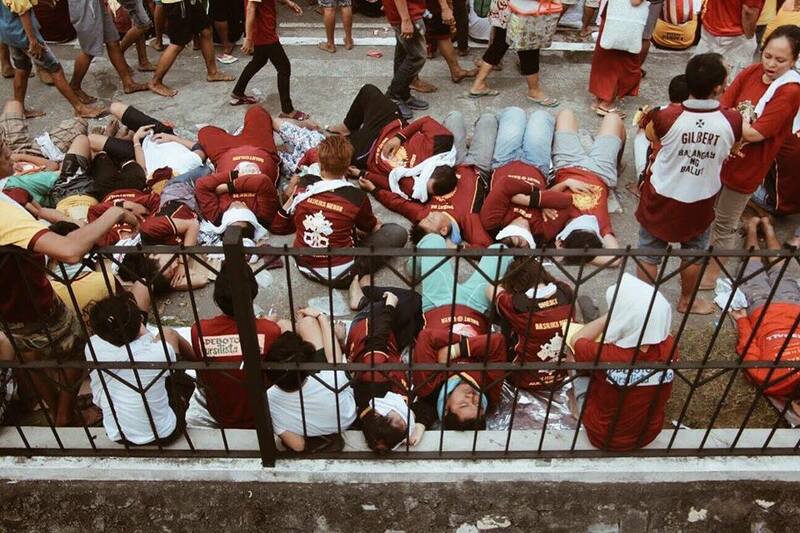 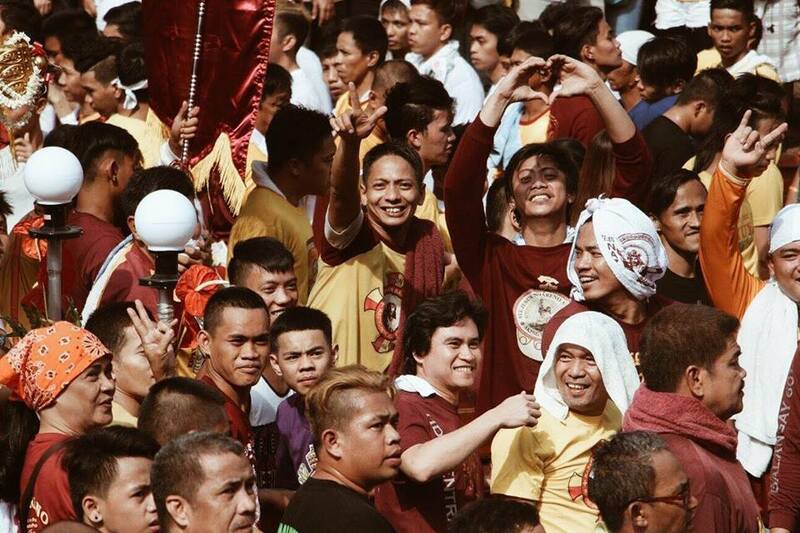 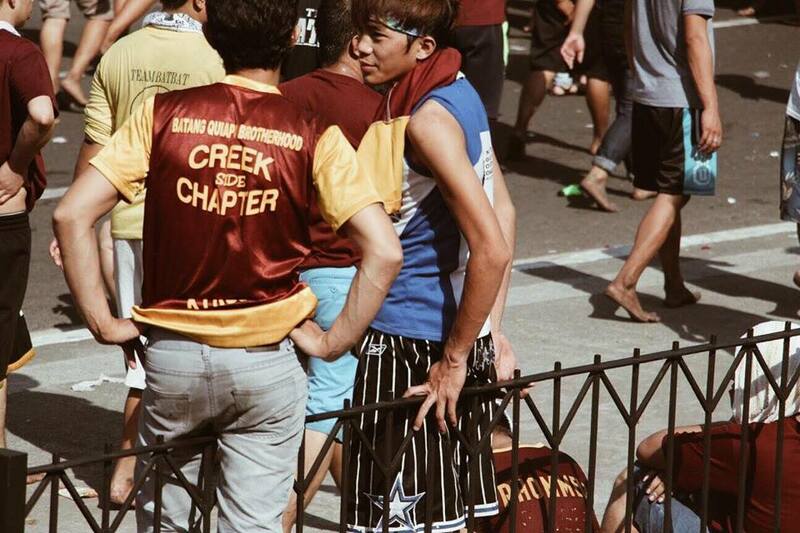 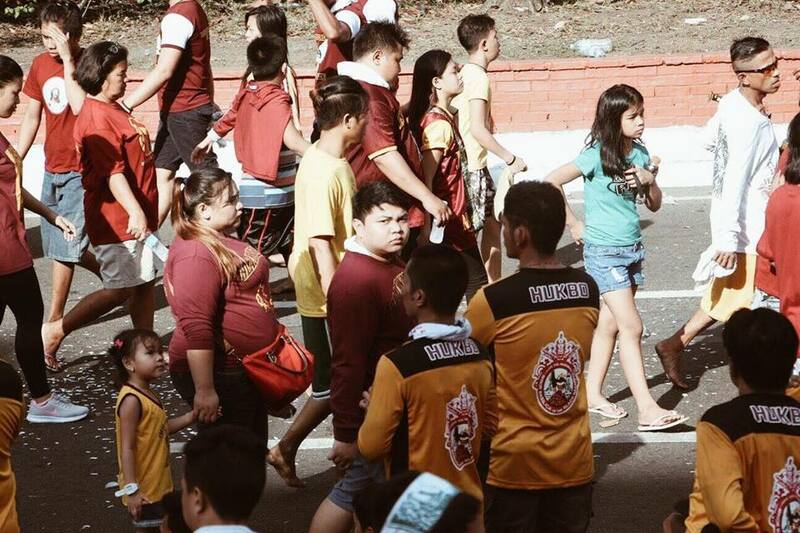 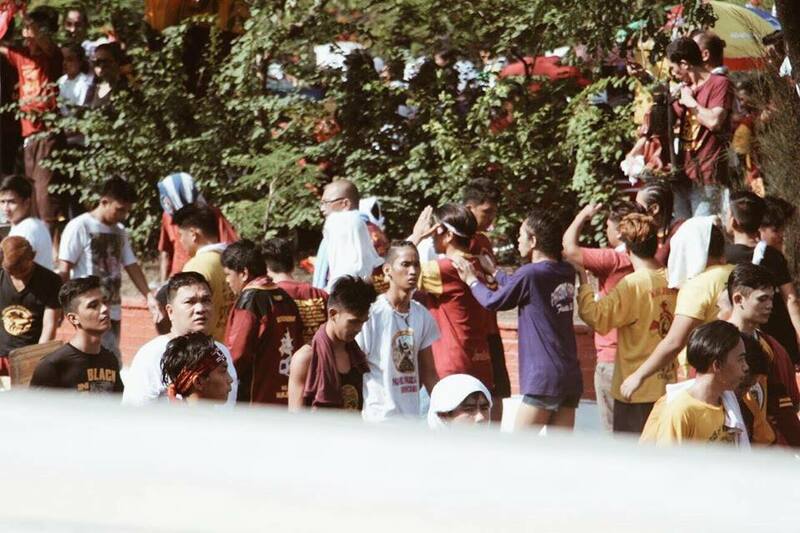 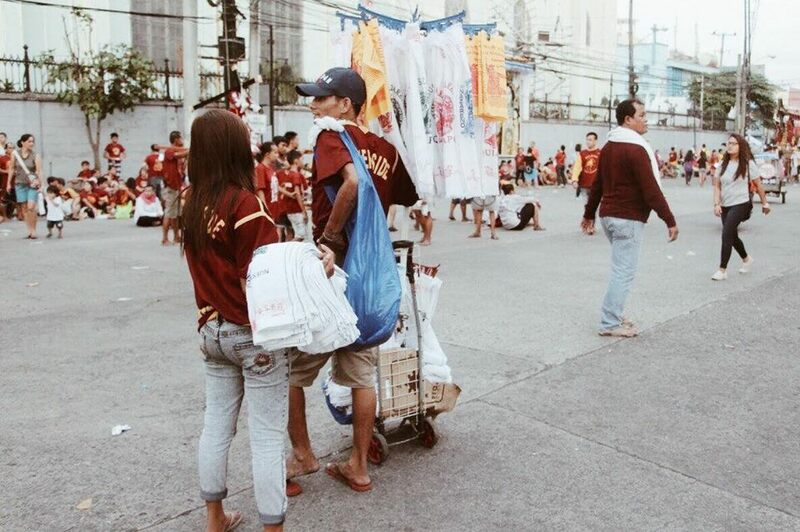 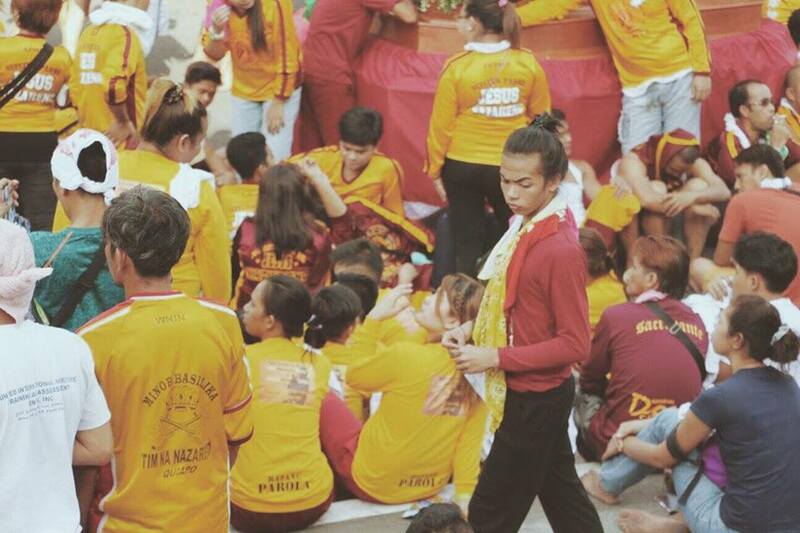 After the recitation of the Rosary, the Black Nazarene is then prepped up to see its counterpart (as per Sir Z.) 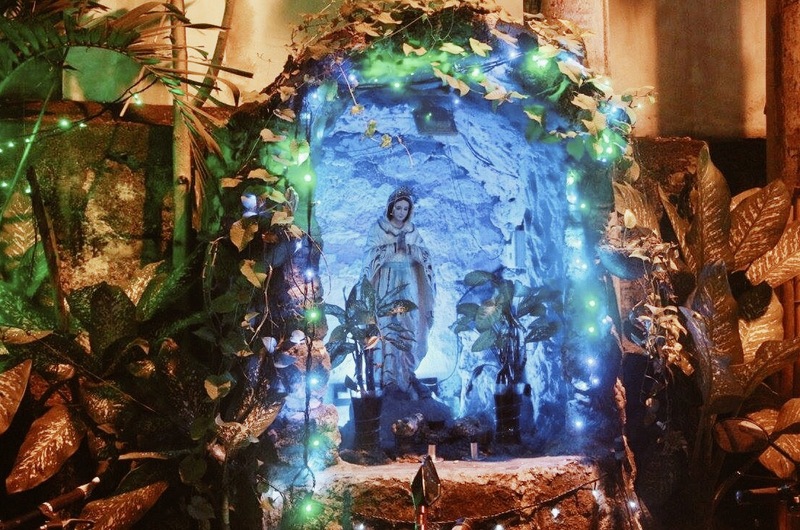 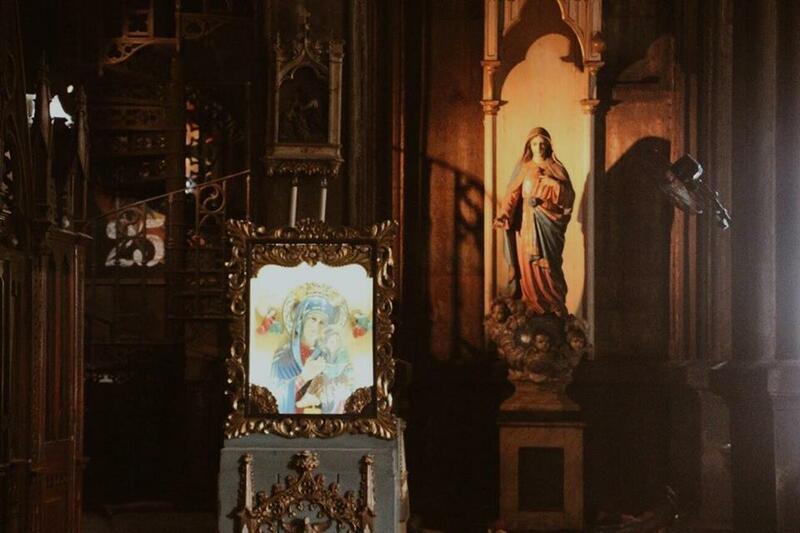 in San Sebastian, the image of Our Lady of Mount Carmel. 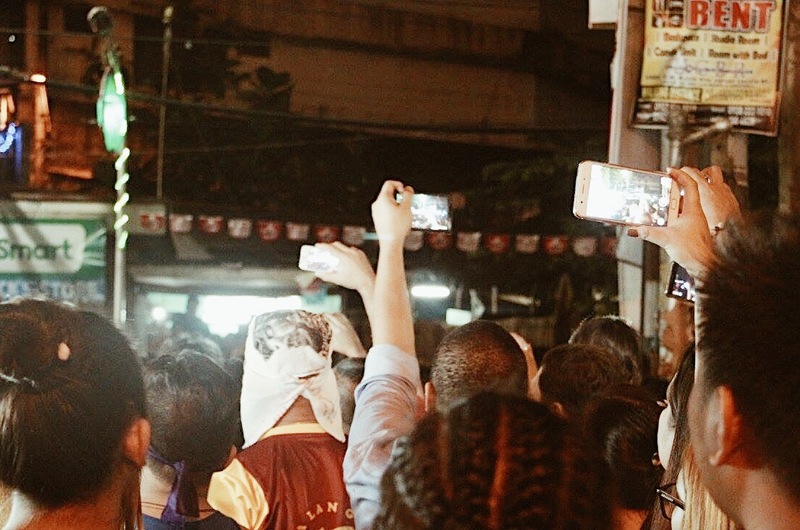 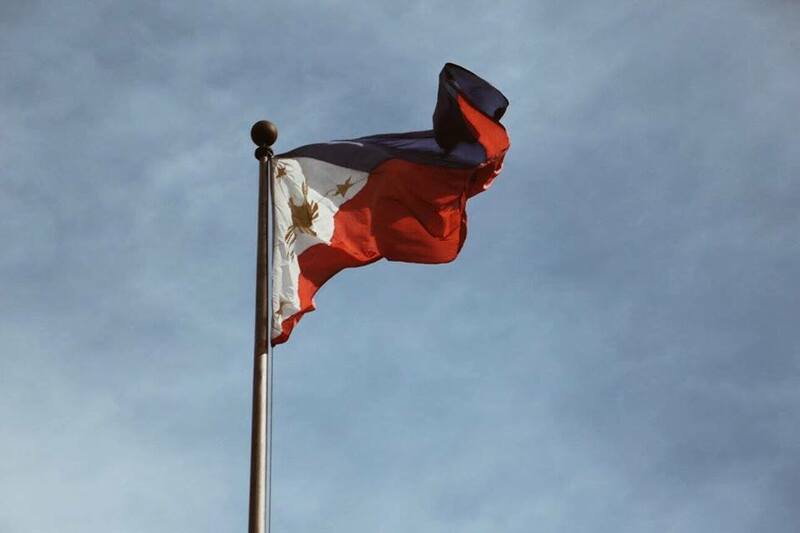 This was a very solemn moment because you could hear from inside the Iturralde house, watching the news coverage, thousands of the devotees, stop in their physically tiring and energy draining “pasan” while the Traslacion is ongoing, and sing in unison The Lord’s Prayer as the Dungaw Rite is held. 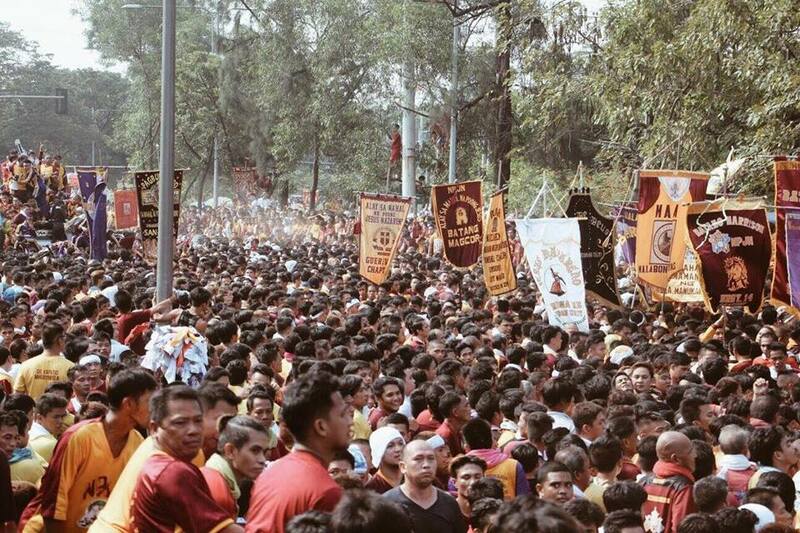 Then, after the entire ceremony, you would hear the same huge crowd cheering again and chanting and waving their white towels up in the air shouting “Viva! 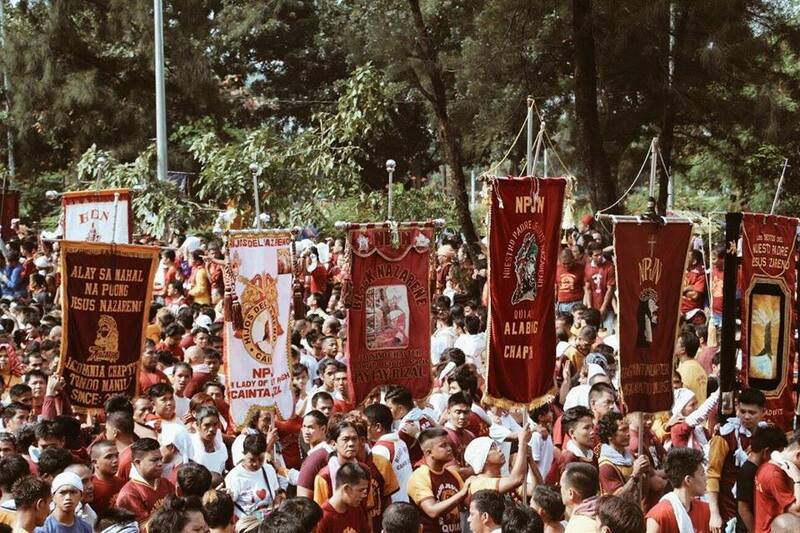 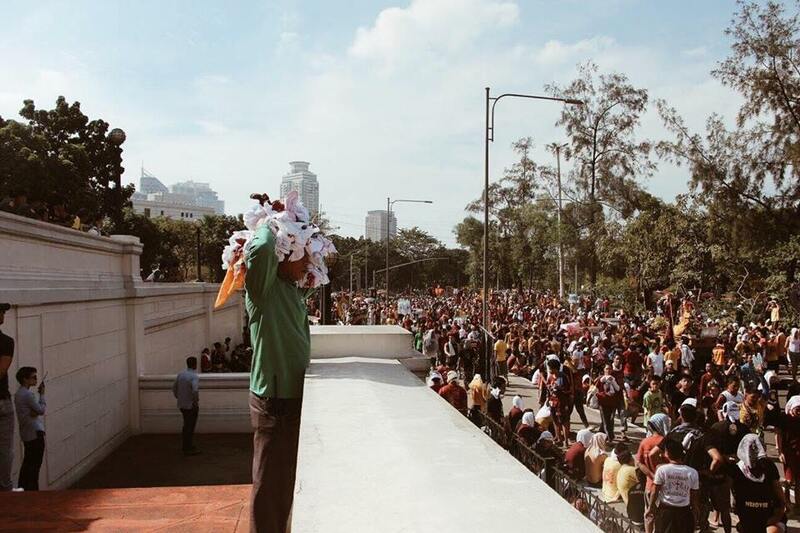 Viva!” incessantly until the Andas moves forward again, now heading straight to the Quiapo Church. 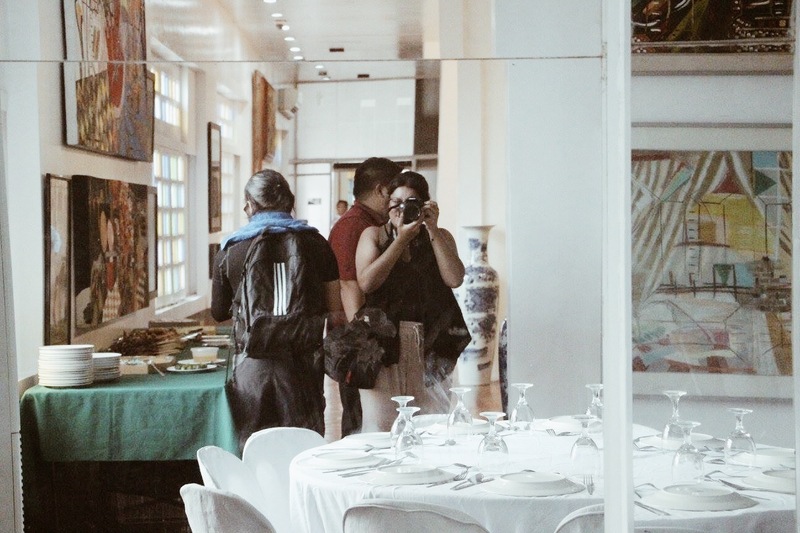 You have beautiful photos here, Bae. 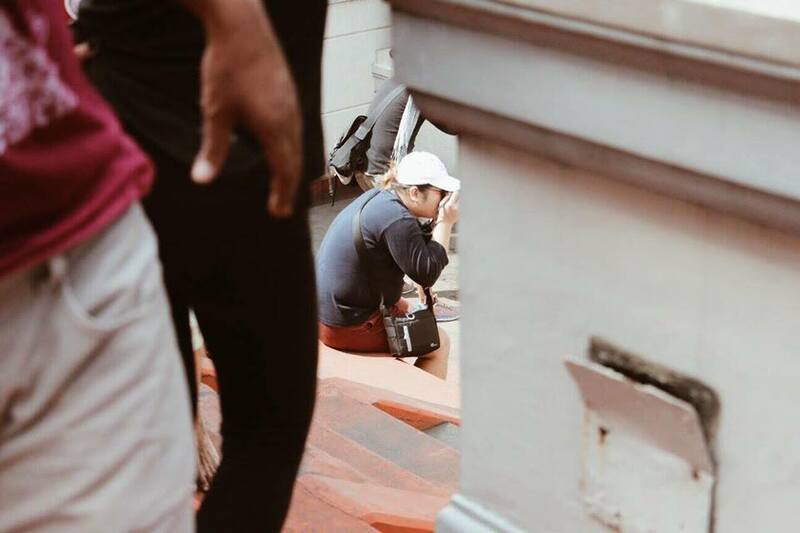 It shows a lot of emotions.